New! 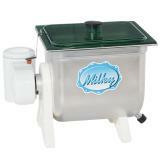 A butter churn for the small-scale dairy. 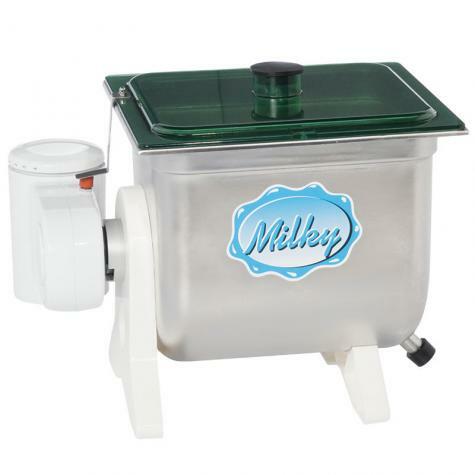 1 gallon capacity offers more throughput than smaller options while the electric churn saves your arms. 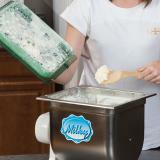 Internal paddles work the cream while you work on other projects, such as milking or cheese-making. 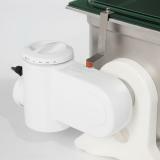 Translucent lid allows for easy status checks of the churning process. 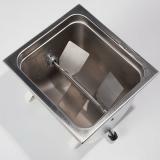 Total capacity is 2.5 gallons, however maximum operating capacity is 1 gallon, minimum operating capacity is 1 1/2 quarts. Safety switch turns unit off when view cover is removed. Perfect size for kitchen counter use. Butter in as little as 20 minutes. Outlet allows easy draining of buttermilk. Quick to clean. Churn with warmy soapy water and rinse. Make 8 mini loaves in one pan. Works with meat loaf, fruit cake, banana, pumpkin and zucchini bread. Can also use to form softened butter.